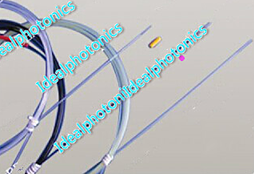 IDP Fibres Optiques For medical silica fiber, one end is fiber connector and the other end is laser export terminal. Fiber terminal of laser export terminal is finished into bevel in order to make the transmitted laser send out from the side that deviates from fiber axis. 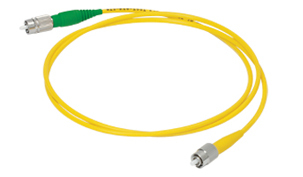 The stated fiber terminal is also connected with optical cap which seals the stated bevel into the air. Facula of light beam sent out by this fiber structure is nearer to circular shape with smaller area, greater energy density, higher cutting efficiency and greater reliability for use. It can produce quite ideal effect for clinic treatment. The laser sends light to a certain direction with very high luminance, very pure color and great energy density. The laser with high power and energy is sent to the target spot of the tissue on the human body or the animal by fibre optics to carry out surgery or treatment, which can greatly simplify the optical transmission system. It is small in size and safe, flexible, accurate and convenient to use. It produces small operation wound, which can alleviate operation pain and shorten the recovery cycle of wound and nidus. Furthermore, lensed fibers can be inserted into different types of optical connectors. 532nm green laser is widely used in the nebulization and cutting of blood-containing tissues such as prostate. It can also be used in industry and science.extension (the tension of thermal solder mask of IDP reaches 10N).